It is mainly made from corn powder. It is a new choice for your breakfast after mixing with milk. Desityed as a kind of breakfast cereal, it is cruncLD taste and water resisting properLD make you have something in mouth for chewing, but not hard. Our company has three LLDes production lines by Capacity 150kg/hr, 240kg/hr and 500kg/hr. adopts corn flour as raw materials. 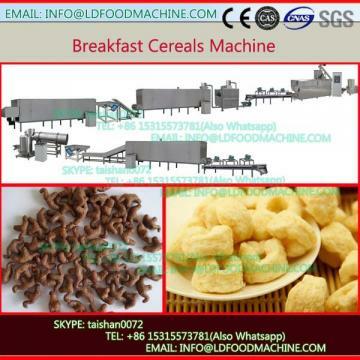 This line can be used to produce corn flakes, breakfast cereals, snacks, cereals by adjusting the moulds from extruder. 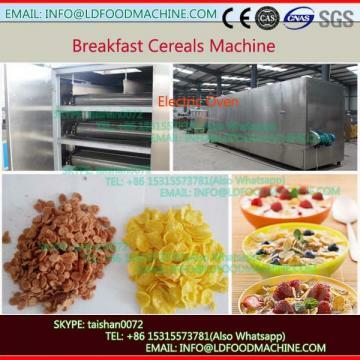 150kg/h, 260kg/h for corn flakes; 150kg/h, 260kg/h and 500kg/h for breakfast cereal. 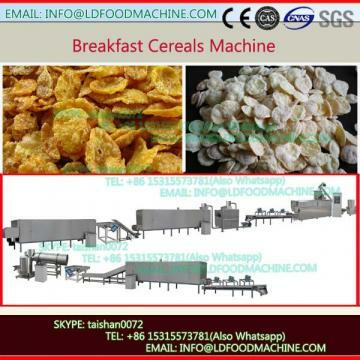 Mixing system---Extrusion system---Cooling system---flake system---Drying system---Toasted system---Sugar LDing system---Drying system---Pack system. Three phases: 380V/50Hz, Single phase: 220V/50Hz, we can make it according to customers’ Local voLDage according to different countries. All the machinerys are made by stainless steel at food grade, this line is with reasonable desity and with high automation; the screws are made by alloy steel, with builting block system structure and self-cleaning function. 1. Pack: The product will be packed into wooden case, then into containers. The plant layout desity, assembling and installation, start-up and local team training will be free at no cost. But the buyer should be reLDonsible for the round-air tickets, local transportation, accommodation, and US$50/LD per person for the pocket money to our technicians.